PHOENIX, NY – Eleanor “Ellie” K. Miner was a remarkable woman. She was a very loving wife, mother, sister, grandmother, great-grandmother and a very dear friend to many. She was an avid member of the community. She belonged to the Order of the Eastern Star, the South Jefferson Historical Society, the 4-H Club and the Methodist Church of Pennellville. 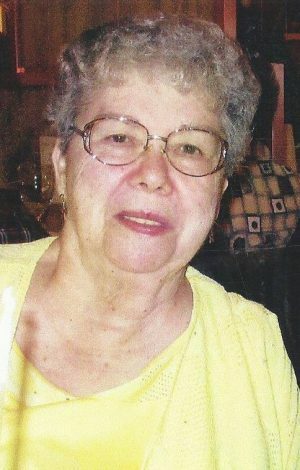 She loved square dancing with her family, exploring genealogy and spending quality time with loved ones playing dominoes and dice. Eleanor was preceded in death by her daughter, Tammy Jo Miner-Day; her sibling, Wesley John Wescott; a grandson, Ian Christopher; and parents, Kenneth and Marion Wescott. She is survived by her devoted husband of nearly 56 years, John E. Miner; two children and spouses: Lori Miner-Hall (Alan) of Oneida, NY, and Charles Miner (Charlene) of Ontario, NY; two brothers and one sister (along with their spouses): Vernon (Diane) Wescott and Charles (Mary Lou) Westcott and June (William) Philips; five grandchildren; and three great-grandchildren. Ellie was born on December 9, 1942, in Syracuse, NY. We are blessed to have had her with us for 75 years, before she peacefully passed away on Tuesday July 3, 2018. Her family asks that her burial services be open to everyone who knew and loved Eleanor. It will be held on Tuesday, July 10, at 11 a.m. in Roosevelt Cemetery, 4434 State Route 49, Pennellville. The Rev. Jeff Hodge will officiate Ellie’s services. Contributions in Ellie’s memory to: Pennellville United Methodist Church, 389 County Route 54, Pennellville, NY 13132. Allanson-Glanville-Tappan Funeral Home, Phoenix, NY, has care arrangements. John , I’m so sorry for your loss of Ellie . She was a wonderful loving woman with a spirit ! I loved her dearly . I know we aren’t related but , I got the honor to get to know a side of her thatvmany don’t get to see ! Patient nurse relationship !! My thoughts and prayers are with you all at this time !